You may have seen from Facebook or Twitter that we have now selected our couple, Ross and Emma. We’ll be sharing their story on the blog very soon. In the meantime, here is an insight into the gorgeous venue of Witney Lakes Resort where Ross and Emma will be getting married in April. Our chosen couple, Ross and Emma (Photo: Darren Bedding Photography). Witney Lakes Resort was one of the very first suppliers to come on board with The Big Day. As well as providing the location for the wedding ceremony, they are generously providing a three-course wedding breakfast, with wine, for up to 75 people, drinks on arrival and for the toasts, and an evening buffet. 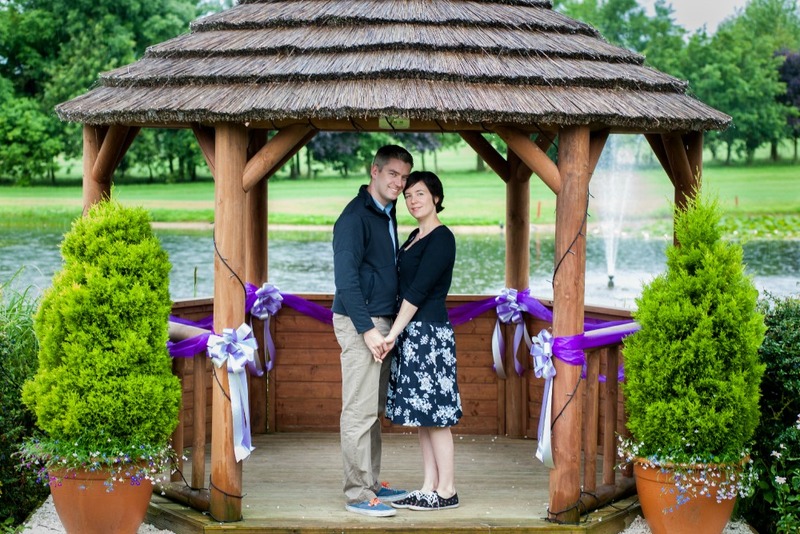 Ross and Emma’s wedding ceremony will take place in the stunning waterside summerhouse (unless it’s pouring with rain – so keep your fingers crossed!). Let’s not tempt fate but last year, out of 21 weddings at Witney Lakes, only one was held inside. If the ceremony is held indoors, it will be in a room with neutral décor, which can easily be transformed into a beautiful wedding venue, complete with a red carpet to greet the bride as she walks down the aisle. Functions Manager, Karen Wicks, does all she can to plan for an outdoor ceremony and always checks the detailed weather forecast with RAF Brize Norton. This is very apt, since this is where bridegroom Ross is based! We caught up with Event and Business Manager, Lauren Beck to find out more about Witney Lakes’ involvement with The Big Day. Why did Witney Lakes become involved with The Big Day? Lauren: “It’s a great opportunity to provide the couple with a lovely location to get married. The fact that it was a competition made it all the more interesting. How the suppliers have come together is amazing and it’s great to be part of that. It’s always a pleasure to see any couple smiling on their wedding day but this will be extra special, to see them really happy on the day. What makes a wedding at Witney Lakes Resort so special? Lauren: “The outdoor ceremony. I don’t believe there’s anywhere else in Witney where you can get married in a setting quite like ours. And, as we’re off the beaten track, it’s so quiet and peaceful. Even people sitting out on the patio always fall silent as soon as the wedding starts. 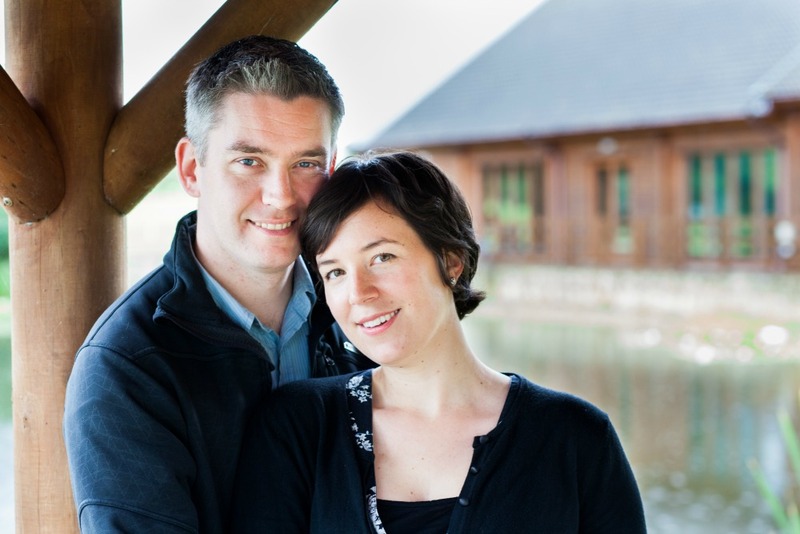 Ross and Emma in the summerhouse at Witney Lakes (Photo: Darren Bedding Photography). You can keep up to date on plans as they progress on Witney Lakes’ Facebook and Twitter accounts. The Lula Mai team will be blogging at least every month between now and The Big Day – telling the story as it unfolds, featuring some of the suppliers and of course sharing an exclusive interview with the bride and groom. So please do follow us: Facebook and Twitter are the places for up-to-date news and the blog is where we’ll be sharing some more in-depths insights. Thank you for following The Big Day story.